As an internationally recognized Inner Growth consultant and third generation clairvoyant, Lisa has a rare understanding of the physical and intuitive aspects of healing. She works as an empathic bridge between these two fields. Lisa has a deep commitment to intentional, purposeful, change- she sees practical solutions for seemingly complex and illusive issues. Her consulting and intuitive work has been featured in numerous publications. While much of her media coverage focuses on her unique ability to perform, "house clearings", her most valued intuitive service is working with individuals. I provide specialized professional instruction in the form of workshops, lectures, keynote speeches . I am a psychologist specializing in career and workplace issues, like overcoming job burnout, self management and self-leadership, mediating disputes, giving directives as examples. Many of these "works" have been transformed into my books. In 1981, when Psychic Investigator Noreen Renier first lectured at the FBI Academy in Quantico, Virginia, her work with police detectives was considered controversial. Now, she is a well-known psychic detective who has worked on over 450 unsolved cases with city, county, and state Law Enforcement Agencies in 39 states and 6 foreign countries. She has a unique understanding of both the police and the paranormal. A Mind for Murder: The Real-Life Files of A Psychic Investigator(Berkley Press). Believing passionately in limitless human potential, Lynn B. Robinson, Ph.D. is excited by exploration beyond barriers or restrictive illusion. She knows personally of the power of integrating intuition with knowledge and commitment. 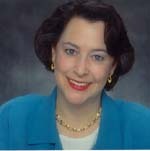 As businesswoman and emeritus professor of marketing, she is a unique consultant, author, and speaker. Lynn is a philanthropist who serves on the board of the Intuition Network and other organizations. A author of A Hidden Order, Uncover Your Life’s Design; and Intuitions, Seeing With the Heart, is an internationally recognized medical intuitive, known for her ability to practice and teach medical intuition. (She headed a pilot project designed to explore the limits of intuitive diagnosis with medical students at Brown University Medical School.) Creator of the Discovering Intuition audio series, Winter is also editor of the online ezine, Tell Me Something Good. Winter and her husband, Michael, incorporate their seminars with wild dolphins swims.